We think one of the best ways to celebrate Valentine’s Day is to TREAT. YO. SELF. And that includes your body! 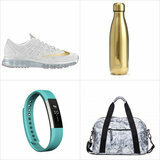 Show some love to your amazing bod with these 12, totally splurge-worthy wellness gifts that’ll make you love Valentine’s Day in a new way this year.